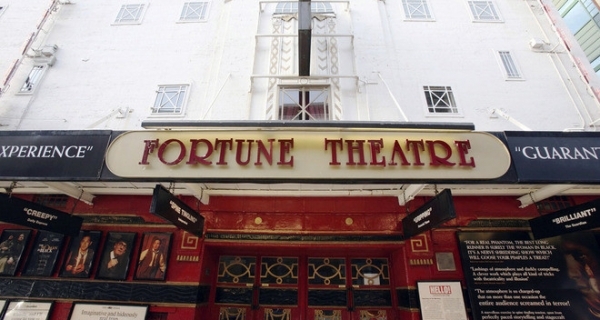 The theatre opened under the name The Fortune Thriller Theatre on August 9 1924, making it the first London theatre to be built after World War 1. It was constructed by commission of Lawrence Cowen, an author and playwright who penned the opening production Sinners. The play would close after two weeks. Productions throughout the 1930’s varied and included amateur work. During World War 2, the theatre was used by the ENSA to present live entertainment for the enjoyment of the British troops. The post war years saw a lot of famous names in theatre and comedy perform at the Fortune. 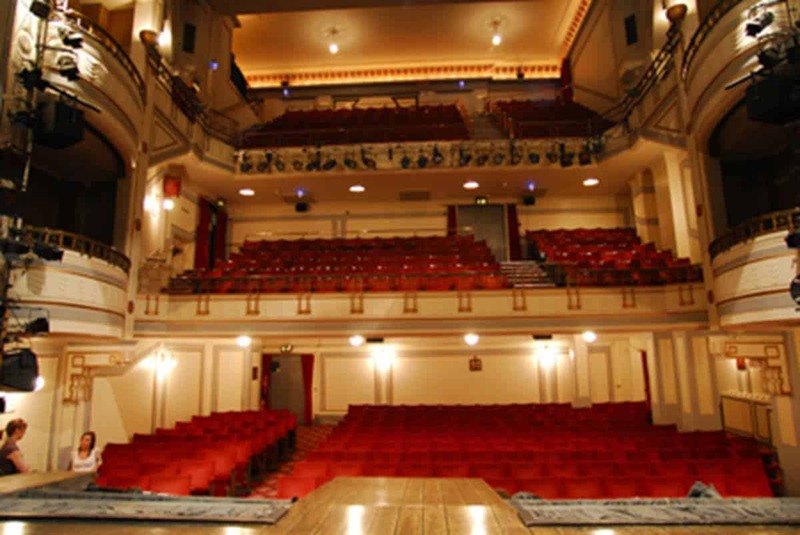 The venue played host to names such as Dame Judi Dench, Maureen Lipman, Flanders and Swann, and Beyond the Fringe, a Cambridge revue that brought together Peter Cook, Dudley Moore, Jonathan Miller, and Alan Bennet. The theatre is most closely associated with Stephen Mallatratt’s adaptation of The Woman in Black, which opened in 1989. Celebrating 5000 performances in 2001, and still running to this day, it is the second longest running play in the history of the West End. Wheelchair access available. No wheelchair spaces available. No adapted toilets are available. Guide dogs are permitted in Box A.